High temperatures and dry weather conditions can result in turf stress that typically causes over 30% reduction in root mass of turf grass plants during the summer. 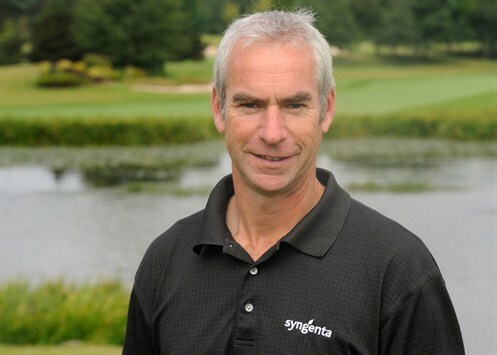 Affected turf plants will need nurturing through a recovery period of good late summer and autumn growing conditions to build carbohydrate reserves, advises Rod Burke of Syngenta, or they will be at greater risk of more severe disease attack and frost damage this winter. Over recent years, the key weather trend has been the shift to hotter and dryer conditions in August. The reference average temperature for the UK has risen by over 0.5°C for the period 1981-2010, compared to 1961-1990.The last time temperatures were significantly below the long-term average was 1993 and, although there had been several cooler Augusts in recent seasons, it has still been above average for more than a decade. An effective autumn Primo Maxx and nutrition programme could help to stimulate development of essential plant carbohydrate reserves and build up levels of stress-relieving anti-oxidants during August and September, said Mr Burke (above). "Trials have shown this stimulant effect to enhance turf health can enable plants to better survive harsh winter conditions and disease attacks," he reported. 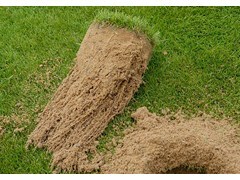 "This has been attributed to the build-up of carbohydrate in the root mass with Primo Maxx use. "Furthermore, a Qualibra wetting agent programme that holds water deeply and evenly in the root zone provides favourable conditions for development of stronger rooting and improved uptake of water and nutrients." Mr Burke reiterated the importance of nutrient availability, with trials further highlighting the need for appropriate nutrition to feed the autumn recovery, but avoiding excess that could lead to more disease susceptible soft growth. The consequence of the hot summer weather has seen Anthracnose, (below) favoured by warmer conditions, reported as an increasing issue. Integrated Turf Management (ITM) practices to alleviate stress - including ensuring adequate nutrition and irrigation scheduling - will help reduce the risk. 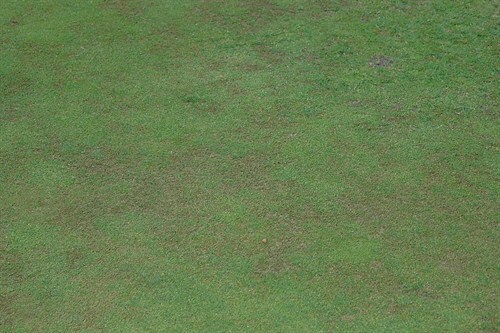 But when disease pressure is high, Mr Burke advised a proactive preventative fungicide application with anti-oxidant activity, such as Heritage Maxx, combined with GreenMaster liquid fertiliser, could help to minimise any impact. He advocated that the GreenCast weather and disease forecasting provides a valuable early warning of potential risk, which can be used to optimise fungicide timing and turf management actions to create a clean surface going into the winter. Strong August turf growth can restrict establishment of new seedlings over sown during golf green renovations. Primo Maxx application five days before over sowing has been shown to suppress existing turf and allow new seedlings to establish. Furthermore, regulating growth as part of an ITM approach can relieve stress on plants and reduce their susceptibility to disease attack.